Matilda got brave tonight and let me touch THE tooth. She told me I was allowed to wiggle it 10 times carefully front to back only, no sideways wiggles or twists. I did about 7 wiggles and then broke with the plan and gave a yank. Thankfully, she was too excited with the results to be upset with me. 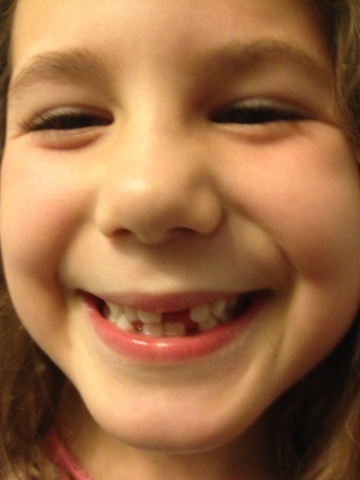 Tooth #5 is out!